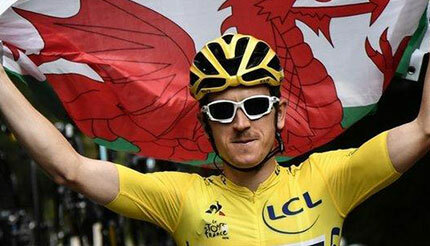 On July 29, Geraint Thomas became the first-ever Welshman to win the Tour De France. Geraint was lucky enough to be raised in a country with some of the most beautiful and diverse cycling routes across the UK. In fact, he discovered his love of cycling at Maindy Flyers velodrome in Cardiff. 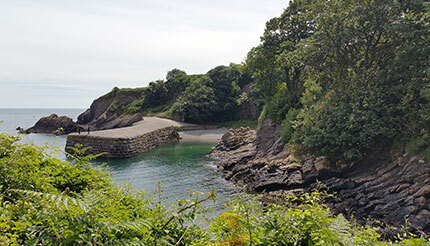 As the Welsh champion prepares to bring home the yellow jersey, the team at Visit Wales has pulled together a list of popular and hidden gem cycling routes in Wales. Not for the faint hearted, this highly popular pass features a relentless two-mile ascent. If you have the endurance to make it all the way to the top, you’ll be greeted with breath-taking views, making the challenging ride easily worth it. Bwlch y Groes is included in the hundred greatest cycling climbs in Britain. 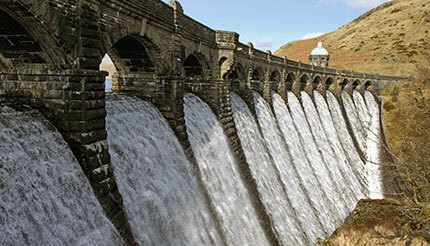 The Elan Valley Trail is a 9-mile (14 km) track that is an ideal introduction to off-road cycling. This spectacular trail takes you past three reservoirs, which, when full, will spill over the dam in a spectacular display. The Elan Valley Visitor Centre has a café to relax in after a long ride, and you might even be lucky enough to catch a glimpse of the red kites that live in this part of Mid Wales. 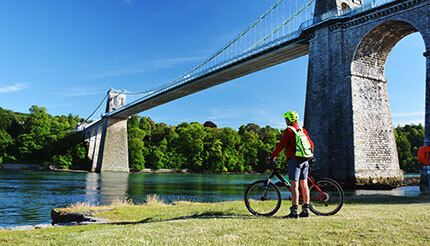 Named after one of the most prominent figures in British Cycling, Sir David Brailsford, the Way passes through the UNESCO World Heritage site from the Menai Strait and on to Caernarfon Castle. The 13th-century castles of Llywelyn ap Gruffydd in Dolbadarn (Llanberis) and Dolwyddelan can also be seen along the track. Novice cyclers will enjoy the chance to ride alongside some picturesque views, while the more experienced will love the exhilarating descents through the heart of Snowdonia. Ride along the western flank of the Rhinogydd range, the most secluded of all the mountains in the park. 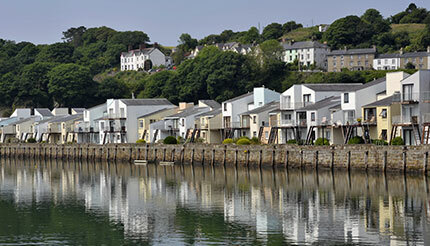 Start in the harbour town of Porthmadog and travel past the spectacular Italianate village of Portmeirion before crossing the newly rebuilt Pont Briwet roadbridge. 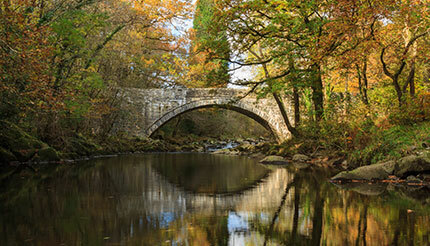 You’ll then travel up deserted lanes (stop for a paddle at the Nantcol Waterfalls) and work your way around Dyffryn Ardudwy before heading back north to Harlech Castle. This route runs for four miles from the sea stacks and the Green Bridge of Wales sea arch to the tiny chapel of St Govan’s, wedged into a cleft in the limestone cliffs. It begins in Pembroke and passes a Norman fortress before looping to West Angle Bay and the Castlemartin Firing Range (It’s essential to check ahead to ensure that firing is not taking place. Firing times are posted online and rarely, if ever, take place at the weekend). There’s a rough gravel track along the hills with burned-out tanks to the left and blue sea to the right. Pass two more beautiful Welsh beaches (South Broad Haven and Stackpole) before returning to the starting point. Lôn Eifion takes you along 12 miles (20 km) of scenic views and historical landmarks, starting in Caernarfon and finishing in Bryncir. The trail starts near the imposing structure of Caernarfon Castle and takes you south alongside the Welsh Highland Railway. Cycle past beautiful views of Caernarfon Bay and Snowdonia, and you might want to stop for a rest at the Indigo Jones Slateworks in Groeslon to see the craftsmen at work and pop into the café. If you’re a beginner or looking for a trail the whole family can enjoy, try the green Yr Afon Trail. This track will take you along the Mawddach River and past the old Gwynfynydd gold mines. If you’re after a more adrenaline-filled, athletic adventure, dare to try the black Tarw Trail; the first purpose-built mountain bike trail in the UK. Expect to encounter rapid descents, rocky terrain, and breath-taking views of the Snowdonia range. The sound of cycling sections bearing names like The Cavity and False Teeth – both with designs to get your heart pumping – is surely too good a challenge to turn down. An adrenaline-filled centre of excellence for all things exhilarating within the former slate mining town, this is the place to roll, rattle and rock over steep swoops and tricky terrains. You can also learn to master your ride with the advice of the experts responsible for creating these thrilling trails. BikePark Wales is located just south of the Brecon Beacons National Park. The Green Trail is designed as an introduction to mountain biking, and is suitable for the whole family. If you’re after a fast-paced expert trail, try Enter the Dragon for great jumps, or perhaps Dai Hard, which is packed with tight twists, rocks and drops. There’s also a mini bus service to take you up to the start of the trails for your next run down. Bike hire is available on site.